From cash dispense to the most flexible multi-function ATM solutions available. 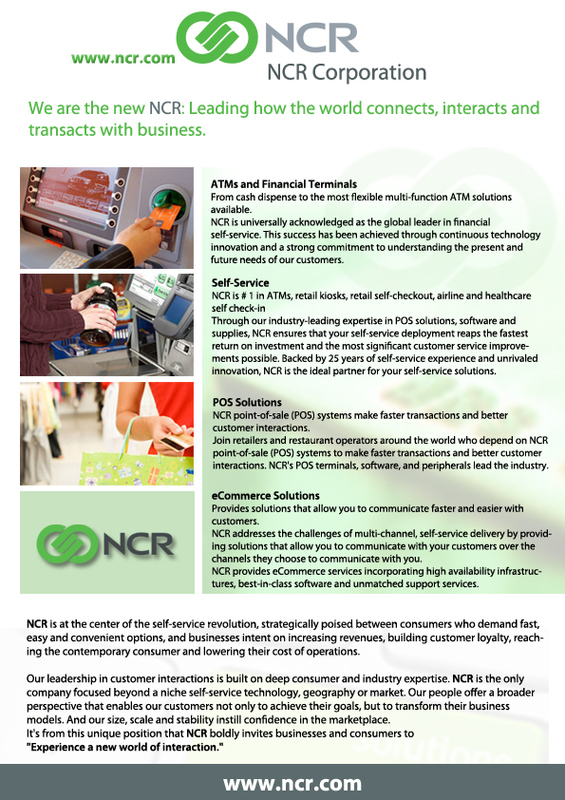 NCR is universally acknowledged as the global leader in financial self-service. This success has been achieved through continuous technology innovation and a strong commitment to understanding the present and future needs of our customers. Through our industry-leading expertise in POS solutions, software and supplies, NCR ensures that your self-service deployment reaps the fastest return on investment and the most significant customer service improvements possible. Backed by 25 years of self-service experience and unrivaled innovation, NCR is the ideal partner for your self-service solutions.